A woodpecker is a bird with a long beak that it used to make holes in the tree. Woodpeckers make a large family of birds with 217 known species all over the world. A large number of woodpeckers can be seen in all through the America, Eurasia and Africa. Majority of the species of woodpeckers belong to the circle of the New World. Following are given some of the most commonly seen species of the woodpeckers. 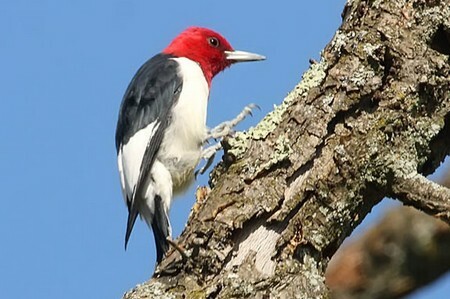 The fact behind the popularity of red-headed woodpecker is its black and white body with fiery red-head. It is widely found in the Midwest and East Coast of America. In the summer season, these can be seen on the western regions as well. 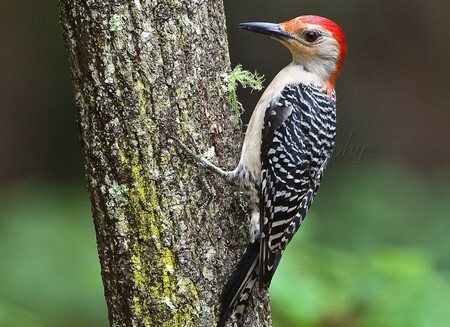 Red-headed woodpeckers usually nurture in woodlands, orchards, forest edges, swamps and parks. Red-headed woodpecker is known as an aggressive and attacking woodpecker in the family as it doesn’t allow the other woodpeckers to enter its territory. These woodpeckers also throw the eggs from other woodpeckers’ nests down. These woodpeckers are omnivores and lived on seeds, nuts, fruits, berries, insects, nestlings, mice and bird eggs. Another important aspect of these woodpeckers is their habit of storing food. Among all the other species in their family, these are the only one who store food under the wood or bark. White-headed woodpeckers are commonly found in the coniferous forests of western United States and British Columbia. Pine seeds are the most favorite diet of these woodpeckers and these are found in large numbers where Ponderosa pines are common. These woodpeckers are often sedentary, though you can see them flying in mountain ranges. White-headed woodpecker feed both on seeds and insects. These are also known as monogamous and both male and female are involved in hatching eggs. These are known to communicate with each other in the form of soft drumming a lot during the hatching process. Acorn woodpeckers are frequently found in the western forests along the coast of United States and all over Central America. These are called acorn woodpeckers because of their habit to store hundreds of thousands of acorns in the trees or telephone poles. Woodpeckers normally store acorns in a single hole known as granary hole where thousands of acorns are placed, to say over 50,000 of them. These woodpeckers are not monogamous and hence, have a complicated family hierarchy. However, the young woodpeckers live with families for years in order to help them to rear newborn woodpeckers. Apart from granary holes or telephone poles, acorn woodpeckers place these acorns in fences, buildings and other human-made structures by drilling hole in them. Gila woodpeckers are the inhabitants of the Southwest American deserts and of Mexico. Gila woodpecker is black and white in color with brown face and neck. Gila woodpeckers dig hole in the saguaro cactus to form a nest. But they have to wait for several months after digging a hole to make sure that the pulp of the cactus gets dry before they use it as nest. 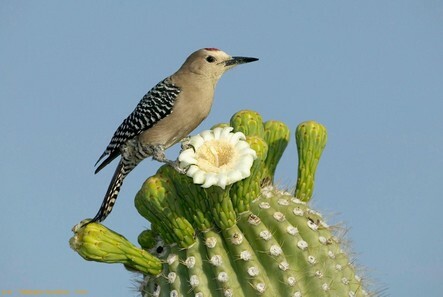 The diet of Gila woodpeckers comprised of fruits, seeds, insects and lizards as well. This species of woodpeckers is believed to get extinct and efforts have been made to find out the traces of the existence of this bird. This species of woodpecker is inhabitant of the old growth forests of American Southeast and was diminished because of the extensive cutting of the forests in the 1800s. It was in the mid of the twentieth century when this species of woodpeckers was believed to be extinct. However, in 2005, it was supposed to be seen in Arkansas but all the efforts to explore the species in the Arkansas and Louisiana regions by different teams are not benefited since then. It was last seen in southeastern Cuba at some time in 1986 and thought to be existed in that region till now.